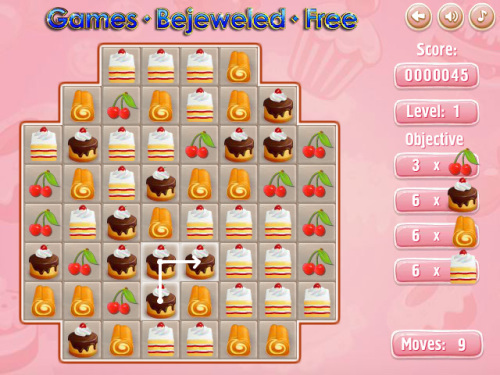 Description How many of the tasty cakes can you make disappear in this cute and yummy online game? Swipe 3 or more items to clear them. Swipe 7 or more items to get a lightning bonus. Complete all the tasks to pass each level. Remember that in each level you have limited amount of moves. Controls Use Mouse to swipe cakes.